Tamron to Make Lenses for Canon RF & Nikon Z Mount Mirrorless Lenses? French website Phototrend posted a recent interview with Tamron executives at CP+ 2019. Tamron said that they are still studying on whether they would release Canon RF mount and Nikon Z mount full frame mirrorless lenses. The new Tamron 17-28mm f/2.8 Di III RXD Lens has a superb optical quality as the Tamron 28-75mm f/2.8 Di III RXD Lens, while the price will be much lower than Sony lenses. They are still studying on releasing lenses for Canon RF mount & Nikon Z mount. When time is ready, they are happy to develop these lenses. About new announced Tamron SP 35mm f/1.4 Di USD Lens: their goal with this lens is to be the number 1 of 35mm f / 1.4 in terms of quality. 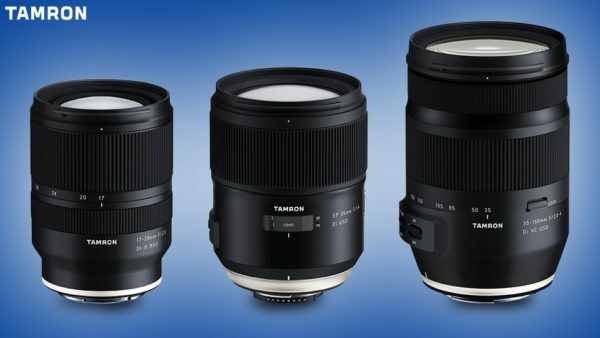 Tamron FE telephoto zoom lens for Sony full frame mirrorless cameras will also be coming, and also some FE prime lenses. This entry was posted in Tamron Lens and tagged tamron lens on March 24, 2019 by admin.